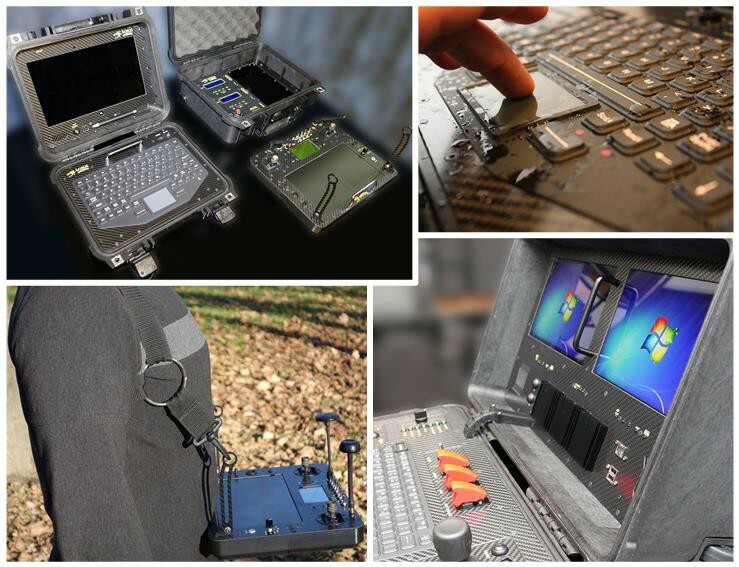 Custom made Ground Control Stations for various Unmanned solutions. No matter what your remotely operated gadgets are, fixed or rotary wing air, surface or just a simple throwin robot, if you are serious about the above, we can design and build your ideal ground control station for you. All the stations we have made for our clients feature sunlight readable monitors, ergonomic controls, provisions for single and multiple operator modes in highly integrated control packs with portability and ingress protection (up to IP67). Architecture: all-in-one or modular RF boxes; tripod/mast/vehicle mount, tracking ant.